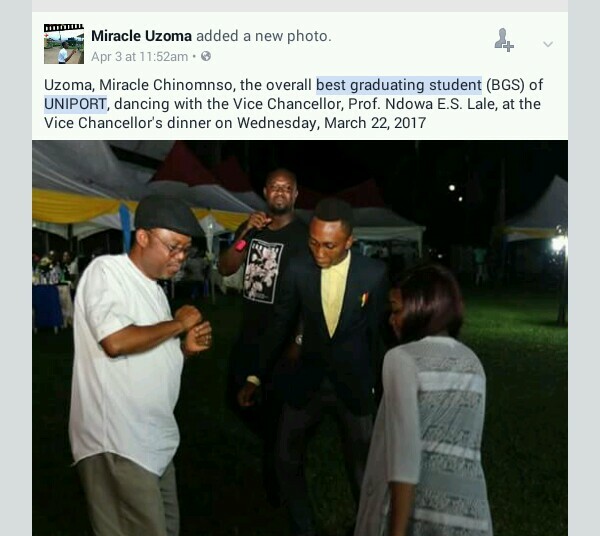 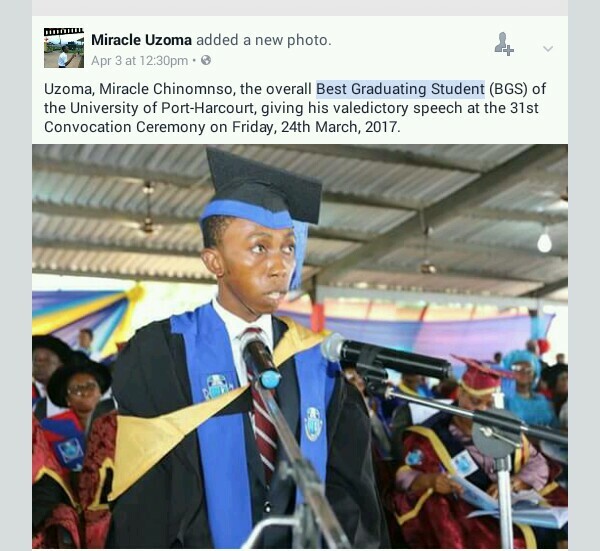 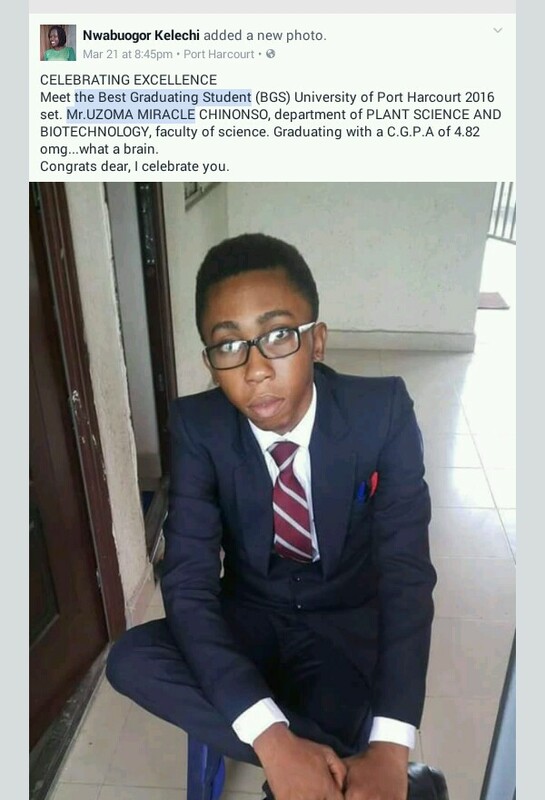 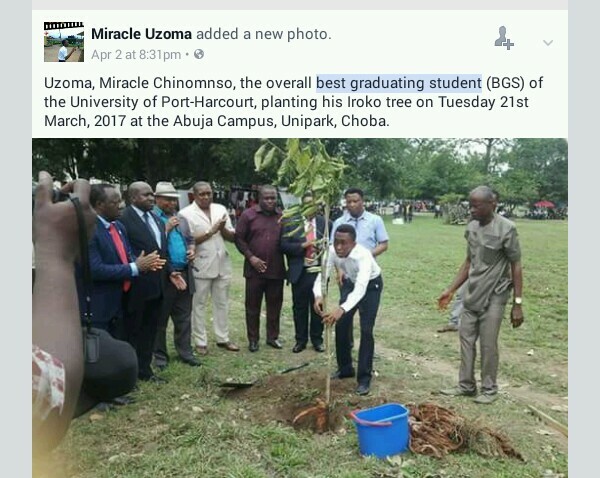 Meet Uzoma Miracle Chinonso,the 2014/15 & 2015/16 Overall Best Graduating Student Of The University Of Portharcourt. 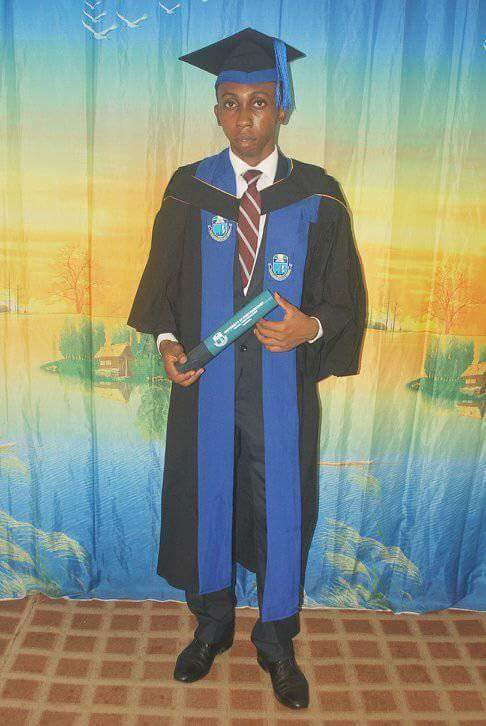 He graduated with a C.G.P.A of 4.82 from the department of PLANT SCIENCE AND BIOTECHNOLOGY, faculty of science. He was at UNIPORT's convocation on March 21st. 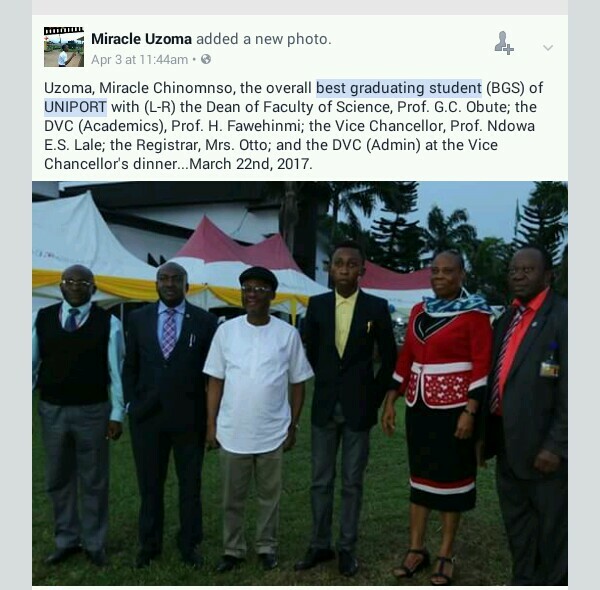 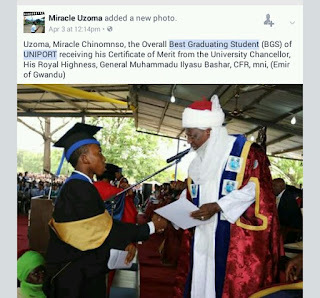 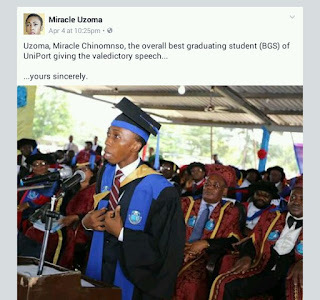 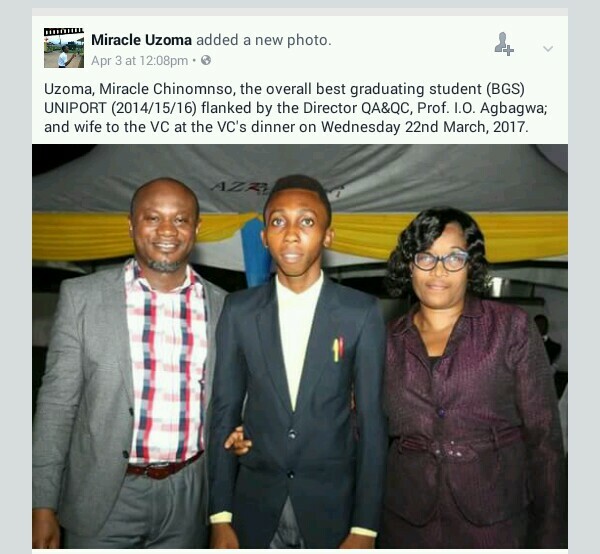 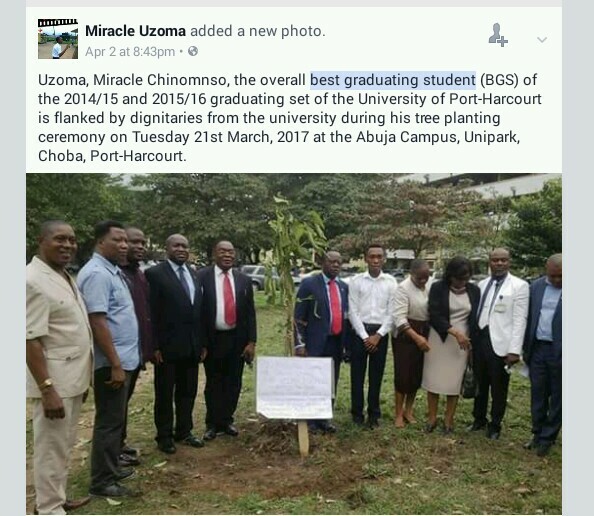 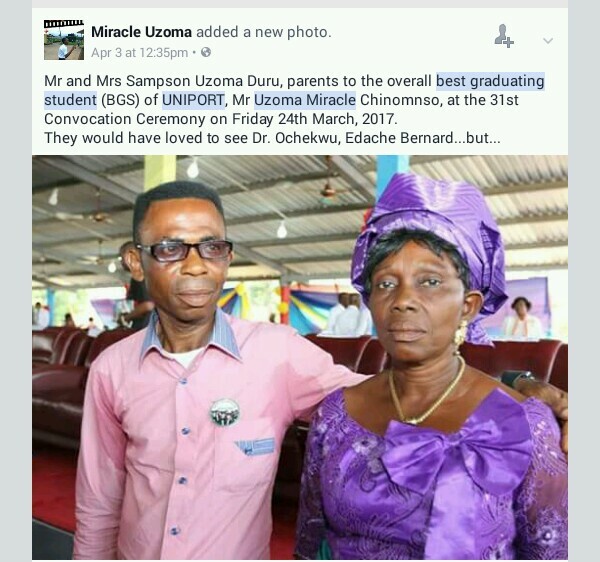 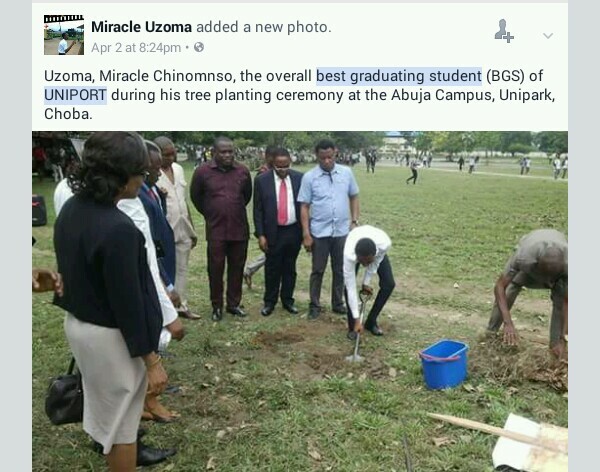 0 on: "Uzoma Miracle Chinonso: UNIPORT Best Graduating Student With A C.G.P.A Of 4.82"